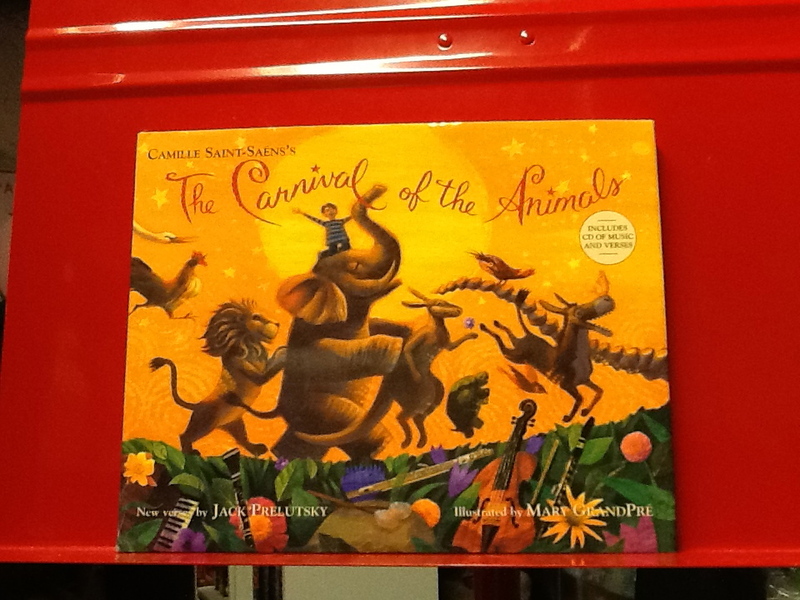 The Carnival of the Animals by Jack Prelutsky My favorite book to read by my favorite poet, Jack Prelutsky. I would only read a couple of poems at a time because they are so long, but with this book they can be easily segmented and not ruin the story by dividing it up. The CD that comes with it is fantastic as well. I loved to let Jack read for me and then the students would move to the music afterward. Carnival of the Animals with Bugs and Daffy this is a cute video with characters all children should know anyway. Bugs and Daffy go at it while teaching kids about the Carnival of the Animals. For the tech savy, these apps are great to sit down and go through with a class or to let students explore on their own or in small groups. Each app plays the music and talks to the students about the animals. The movements in this piece are great to add props to. Students can dance around with scarves to ‘The Aquarium’ or throw bean bags in the air as the ‘Kangaroo‘ bounces around. You can also have them meander around your room as the movements are playing as the animal the music is portraying. This is a great way to assess if they can identify the animals with the music yet. Four Corners– I put pictures of the animals around the room and would play certain movements of the piece. The students would walk to the picture that they think was playing and stay there until the right answer was revealed. (Another great assessment) We would have a discussion about making your own choices as well and being safe while moving around the room. What do you hear?- Very simple activity, I would play a movement and then have them come up with describing words about the movement and we would right them on the board and then talk about them. 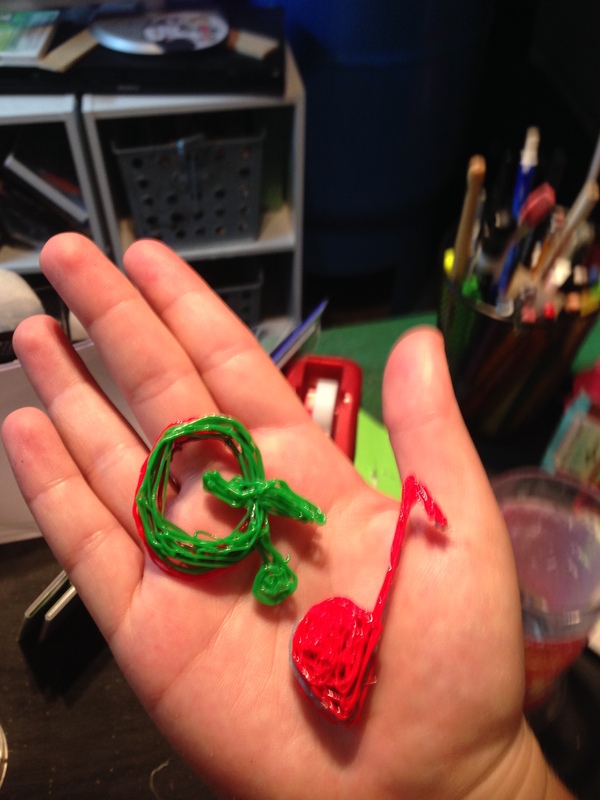 What’s your favorite piece of music to teach your students? So I went a little app-happy a few nights ago and added a handful of amazing new apps to my collection. I chose the 4 that looked the most awesome to share. Most of these will fit with a younger crowd, but I am particularly excited about the ukulele one which looks great for the 3rd and up grades who are taking on the Uke in classes. 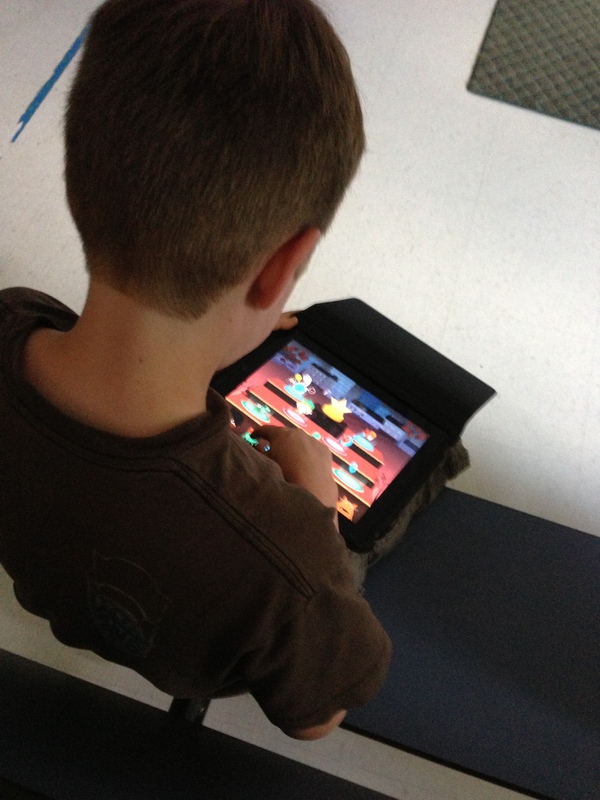 iPads are such a great tool for creating, composing, and exploring music. Apps like this are just making mobile devices in the music classroom even more of a necessity. Scratch Jr.– This is the ultimate app for teaching younger students the basics of coding. With its child-like design, the user can quickly understand how to create the sequence at the bottom that would tell the cat character to do what the user would like. This would be a great tie in to the music classroom by relating it to form and composing a song. You could also have students animate their own cat and then compose music to go with the animation. Music Learning Lab– This app would be a GREAT independent activity. 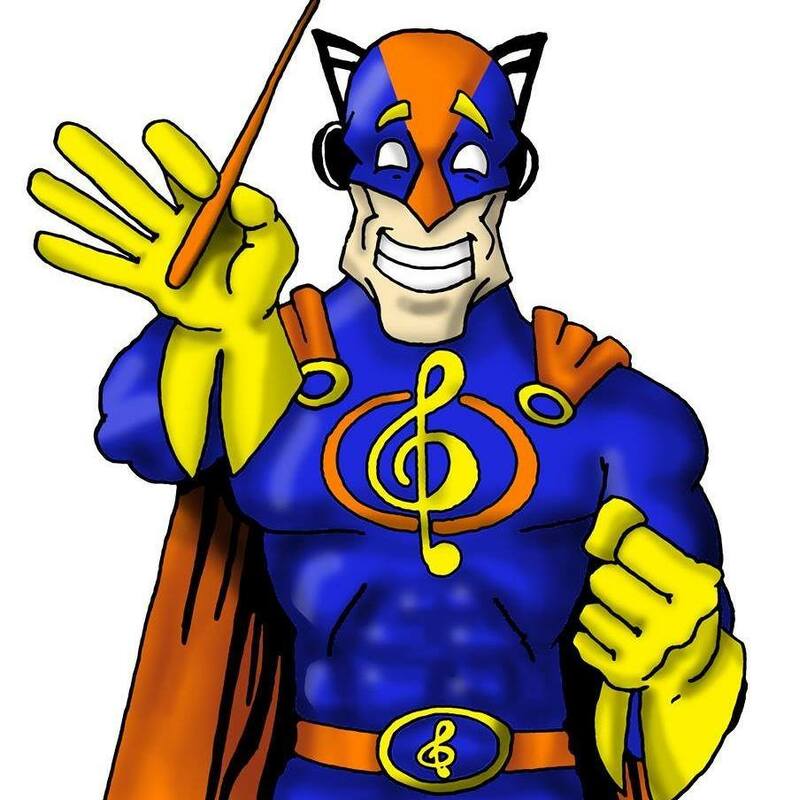 It takes the user through 14 lessons of basic music theory creating a solid theory foundation, while earning things that will unlock in the Create and Play areas. A great app for the young students who want to know more. Would be great for a center in the classroom, or to use as an activity for a troublesome student who might not be able to join in with the group that day in class. Green Screen– Basically does exactly what it is called. This Green Screen app allows users to create a full length video and digitally input a brand new background to create a movie masterpiece. This would be perfect to film music videos or even just film your students performing in class and put a cool background in the back that is guaranteed to impress! 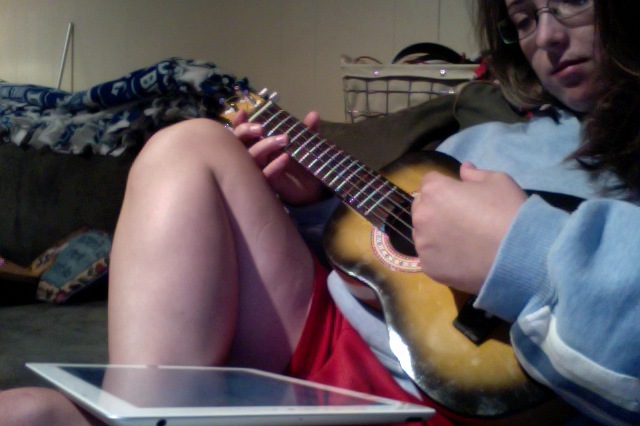 Ukeoke– My new favorite app, no question about this one. Learning the Uke never has been so fun. Kind of similar to the JoyTunes family of apps but this cool program teaches you popular Uke tunes! With great tools such as ability to record yourself, slow down the songs, tune, and practice the chords before the song. I could see this app not only as a great independent or group activity, but also a whole group game, a supplement for private Uke lessons, or just a take home for a really motivated student. What apps are you ready to use for your new school year? It feels so very weird not getting ready for the new school year. Usually by this time my room is unpacked, lessons are planned, and my new equipment is unpacked and ready to go. In a way I do miss it, but I’ve been so busy and so very excited with the new job my mind has been very focused lately. I do still miss unwrapping my new equipment at the beginning of the year. So shiny and new and ready to be used in the classroom. One thing I remembered was how awesome it was to get new tech equipment. Last year I got a brand new Snowball Microphone and webcam, you know what I did with it? I Skyped. Now some might be hesitant to Skype, the work of finding someone to Skype with, setting up a time, getting the equipment, testing it out. It all takes a lot of work, but I raise my right hand to you and solemnly swear that it gets easier and even more fun the more you do it. (I also solemnly swear that I am up to no good but that’s a whole different story.) With Skype you have so many options to connect your students with the outside world. Skype gives you and your students a key to unlock the door that leads outside your classroom walls and allows you to explore the world together and meet new friends along the way. With websites like https://education.skype.com and social media sites like Twitter you can easily find colleagues across the globe to connect with. Performances- I had my 1st and 2nd graders working on grade level shows, we Skyped in with several classes and sang them a few songs to help us practice being in front of an audience. You can do the same with your classes, have the students sing for any class that is willing to listen. It will not only get them comfortable with performing, but is also a great activity for performance etiquette. Project Presentations- Have a project the students are presenting? Make it fun and invite an expert or maybe a well known school figure into your class via Skype. They can make comments, provide encouragement, and just be someone new to see the students work and break the everyday cycle of students presenting to you and their classmates. Guest Speakers- Talking about a certain subject in class is a perfect time to invite in an expert via Skype. From composers to audio engineers to other teachers. You can bring in just about anybody into your classroom for little to no money to talk to your students! Guest Ensembles- Ever think about how you wish you could bring in a Symphony Orchestra or a Jazz Ensemble to your students? Skype is an easy and effective way to bring a full performance into your room. The students can hear live music, be able to ask the performers questions, and see instruments up close and personal. 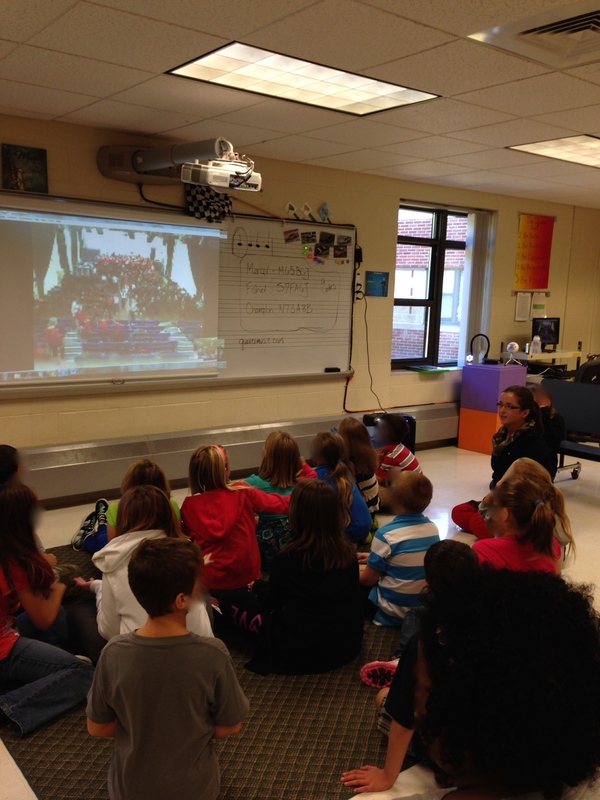 Song Shares- The simplest and most done form of Skyping for the music classroom. Each class shares a song with one another, students can compliment each other and then ask questions to each class. This is a great one for a Skyping first timer. What would you use Skype for in your Classroom? Be sure to share your Skyping experiences! This week has been INSANE. I’ve basically been to the other side of the country and back in just a mere few days. I have been out since the 4th and have yet to be home yet (Almost there! On the last stop!) During this time Musedmot went on. This event is my PD baby, I eat, sleep, and breath Musedmot and was at first heartbroken to know I had to do a presentation the same time Musedmot went on, but thanks to amazing moderators @TheYellowBrickRoad and @ClarinetRachel, scheduled tweets, loyal participants, and a new Challenge feature #musedmot lived to see another day! With my new position change for this year I will be scheduling smaller Musedmot events throughout the year! Watch for our first back to school chat August 13th at 7pm! Up on the site until the 16th will be the Take the Challenge! page. This is meant to be a reflection activity. Allowing us to look back on the year we had and prepare even better for the year again. To take what we’ve learned and learn even more. I took the challenge, actually I took the challenge every year of my teaching. I dare you to take this one. Even if you don’t share you’re answers take it anyway. Click Here to take it. Thank you to those of you who keep coming back event after event. I don’t plan on stopping these anytime soon, just have to keep changing them up until we find the right fit. Keep August 13th on your calendar at 7pm we will chat musedmot style getting you ready for back to school! Stayed tuned to www.musedmot.webs.com for more even announcements throughout the year, we will have everything from live webinars, to G+ Hangouts, and even more twitter chats. This is going to be a year you won’t soon forget. Well its been a wonderful sunshine filled couple of weeks, I’ve been diving more into learning how the Maker Movement works and have thought up some fantastic new blog posts on the subject! So watch out! I’m coming back with some insight on a fantastic new gadget I’ve acquired called the 3D Doodler which is a 3D Printing Pen! 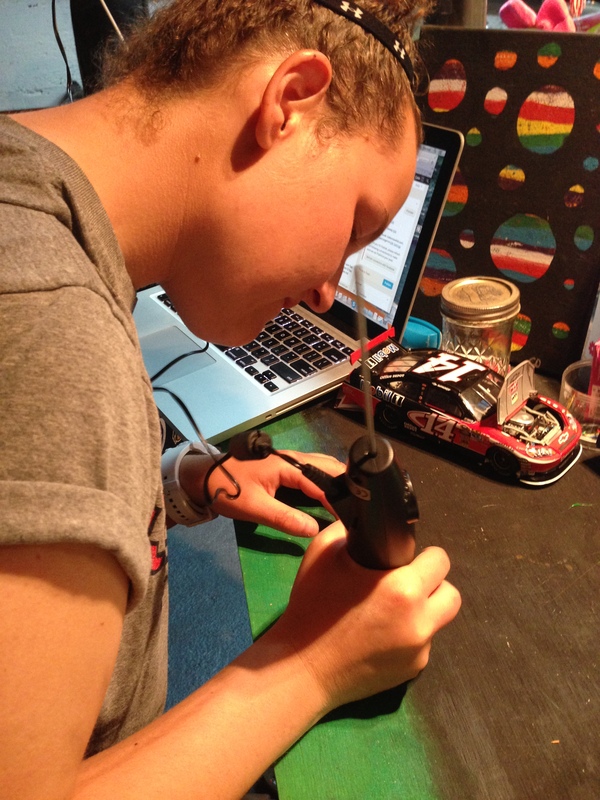 It has become a resource and tool in the Maker Movement that is taking education by storm. Students are gaining the skills to be able to design and manufacture 3D products that they otherwise would only realize on paper sometimes never see come to life. The printer takes plastic and melts it just enough to become pliable to mold into whatever the user has dreamed up. The plastic then hardens within seconds to become a 3D object. With the printing pen it has the same sort of idea but you can relate the pen more to that of a hot glue gun, only the pen does not melt the plastic to the point of liquid like the glue and with the pen you can free hand what ever you want! My Sister trying it out! Now imagine this in the classroom. There are so many possibilities for making, I see just in the regular classroom students making 3 D shapes to study in math, learning about engineering and building their own buildings, even building their own simple machines to study in science! What else can you see using this for in your classroom? Going even further into the music classroom I wondered long and hard about how to incorporate it. What about 3D sound waves for studying pitch and science of sound? Or how about building your own chord machine to help students identify chords? Maybe even printing your own instruments for studying about different instrument families? How COOL would it be to discuss the string family and then build a model of a violin right in front of your students eyes? ? Another tool to add to my list of Maker Movement resources to explore even further! Do you have access to 3D printing? How would you use this in your classroom? Want to learn more about the Maker Movement from educators like yourself? Check out #ITLChat on Twitter to connect with some amazing teacher leaders!